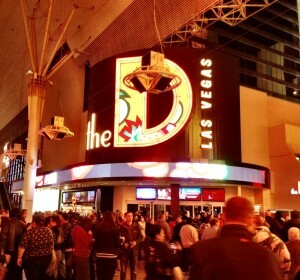 The D sports book, operated by William Hill, is a cozy space located on the second floor of the hotel property. 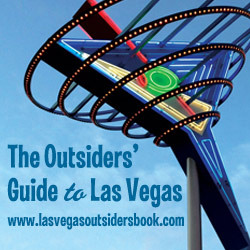 The sports book was completely renovated upon William Hill taking over, however the original space (during the Fitzgerald’s days) was never expanded – seating is limited but William Hill is known to offer good value/odds for sports bettors. American Coney Island Hot Dogs is open 24 hours and is a short escalator ride away from the second floor area – the chili cheese fries have a cult like following and if you try an order, you will know why. 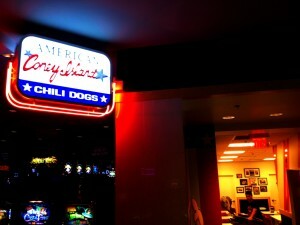 American Coney is certainly worth a try during a night of partying on Fremont Street or if you need a quick bite to take back to the sports book. The D sports book is contained within a small area but I’ve always found a seat there and the HD screens are more than adequate. 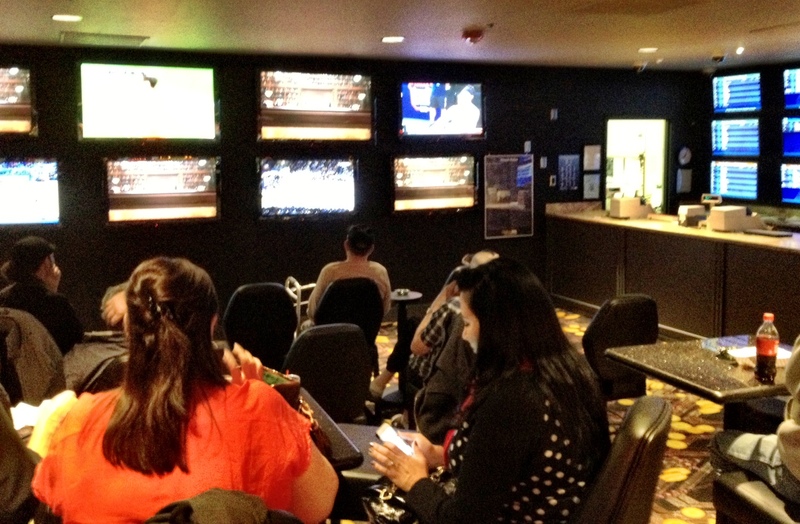 One might consider placing a wager at the sports book and then heading back to the first floor to The Longbar, which has ample screens and is a great place to catch the sports action. 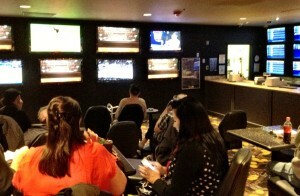 There is also Keno right next to the sports book if you want to watch the ping pong balls and try to hit a 5-spot. 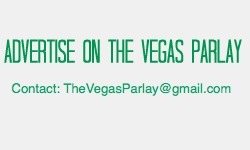 Odds and Ends: Only sports wagers are offered here (no horse racing). However, if you need a bit of a horse racing fix, the Sigma Derby machine is close by.